Just because we're nice, we thought we'd offer our PDF payslip template to the world for free download. There was a time when we needed something just like this, and couldn't find anything, so we created our own. Most fields are editable in Adobe Reader, and almost everything auto-calculates for you. The only thing you'll need to do yourself is work out how much tax is to be deducted. 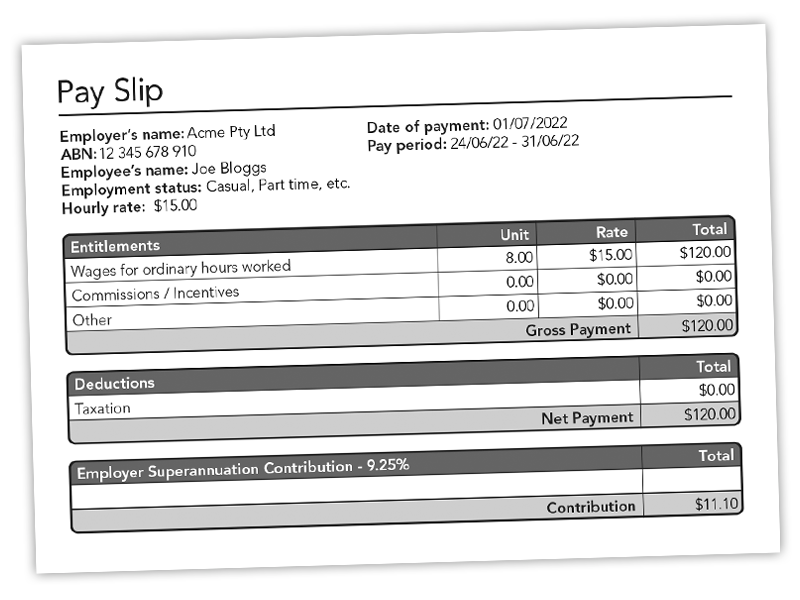 Please note: Our payslips only work with Adobe Reader. Get it free here. Purchase the Premium Version for only $9.25. *Please check that the free version suits your requirements and works on your device before purchasing. We also have a PDF Delivery Docket / Packing Slip Template available too, Click Here for more info.